A week after President Trump's surprising announcement that he was withdrawing U.S. troops from Syria, the U.S. military is drafting a withdrawal plan that could have U.S. troops leaving over several months, according to U.S. officials, who stressed that no final decisions have been made about the planned pace of the withdrawal of U.S. troops from Syria. 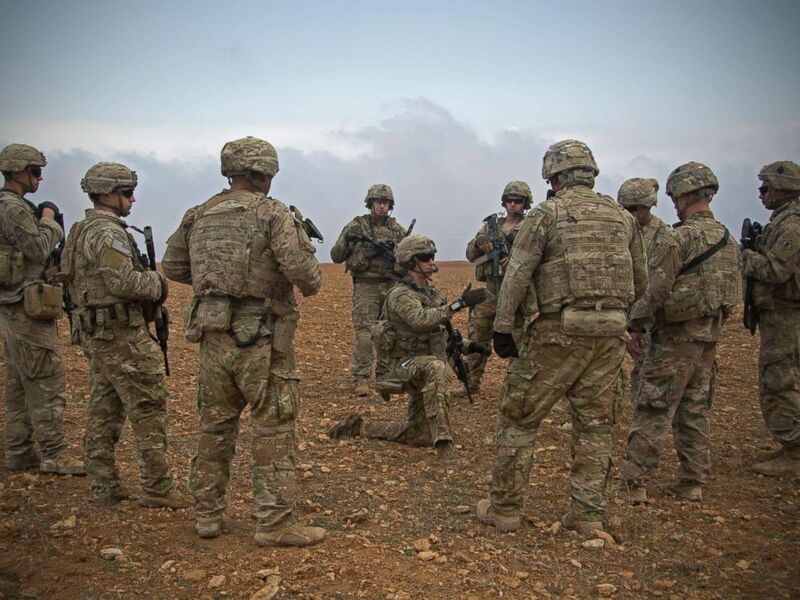 Shortly after President Trump's announcement last Wednesday, U.S. officials had said it was likely that the 2,000 U.S. troops in Syria could all be pulled out in 30 days. According to two U.S. officials, the current plan being presented to the military's chain of command calls for a withdrawal process that could take several months. That would be in line with President Trump's most recent comments about a withdrawal from Syria that it would be "deliberate and orderly". "There will be a strong, deliberate and orderly withdrawal of U.S. forces from Syria," Trump told U.S. troops on Thursday during his trip to Iraq. Trump added that the U.S. planned to maintain a military presence in Iraq "to prevent an ISIS resurgence and to protect U.S. interests and also to watch very closely over any potential reformation of ISIS and also to watch over Iran." Officials say the withdrawal plan will have to be approved by the Secretary of Defense and it's possible that it may be up to Pat Shanahan, the department's number two official, to approve the plan when he becomes the new acting defense secretary on Jan. 1, after Mattis' departure. Trump's statement about the role American troops could play in Syria from inside Iraq could be problematic.